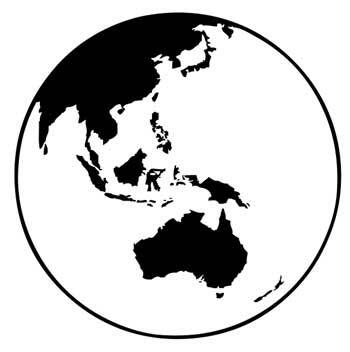 Asian cooking covers a large area including the countries of Japan, Vietnam, China, Thailand, Philippines, Indonesia, India, Tibet, Malaysia, Korea, and many more countries. We are grouping them together for our World Studies International Recipes but feel free to focus on one country at a time in your cooking adventures. Asia's biggest crop is rice. It is a staple food in Asia, meaning it is something they eat often. Other common Asian ingredients are fish, squid, shrimp, and octopus. 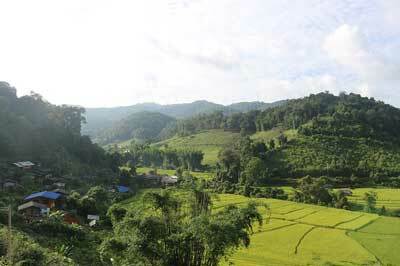 The countries of Asia lie mostly within ocean, seas or rivers so fish is easily accessible. Some Asian spices and cooking ingredients are chili pepper, garlic, coconut, soy sauce and ginger. There are different variety and tastes throughout Asia. Szechuan comes from West China and includes a mix of spicy, sweet, sour and salty flavors of Chinese recipes. Vietnam is known for light and healthy dishes. Indonesia is known for cooking with seafood and coconut milk. Two things readily available. Cantonese is known for dim sum. Fragrant Meat in China refers to dog meat. Yes, they do eat dogs. Dim sum means small dishes. Usually a variety of dim sum dishes are served with tea and friends or family sit around together to enjoy. 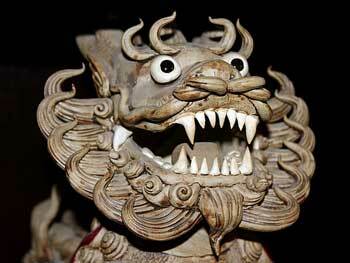 Asia covers many languages and they have their own beautiful characters for writing. Gohan is the Japanese word for meal. 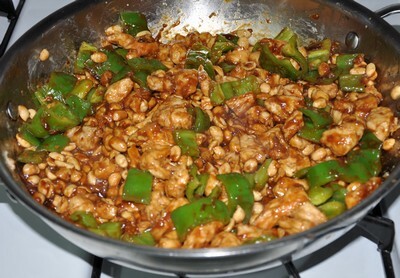 This kung pao chicken recipe is delicious. Once you break it down into steps you will see it doesn't take as much work as you might think. Cut 1 lb. boneless chicken breasts into cubes. In bowl, stir together chicken and 1 teaspoon cornstarch. Set aside. 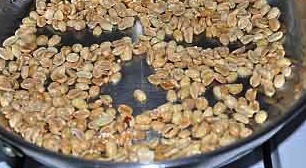 Lightly brown 1 Cup peanuts in oil. Set aside. In same pan,sauté garlic, green onions and green peppers in oil. Set aside. In same pan, fry chicken in oil until brown and done. 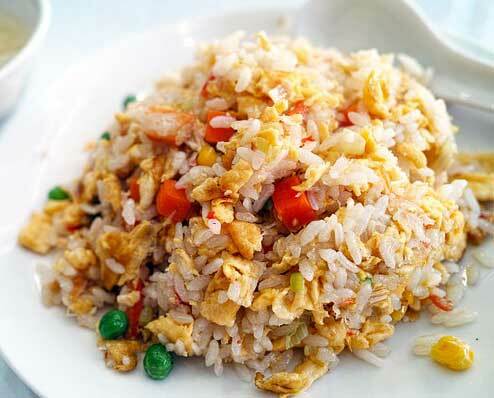 Combine vegetables,peanuts and chicken together in pan and add sauce. Cook several minutes. This Asian cooking recipe is simple to make and is an easy kids recipe to add to your monthly menu. Cook noodles. While noodles are cooking, cook chicken pieces in a frying pan. Add soy sauce, brown sugar, garlic and chicken broth. Stir in frozen vegetables and cook covered on medium. When chicken is cooked through and vegetables are tender mix drained noodles into chicken mixture. Serve immediately. If your family doesn't like hot or spicy flavor omit the hot peppers in this Asian cooking Recipe. Prepare sauce in a jar or large measuring cup. Stir all sauce ingredients together and store in refrigerate until needed. In bowl add chicken, soy sauce, and hot peppers. 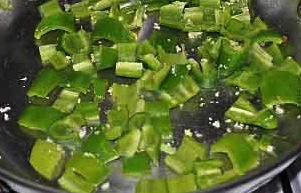 (use gloves when removing seeds from hot peppers. This is a job for an adult) Stir in egg. Add cornstarch, and mix until chicken pieces are coated. (Don't worry if the mixture looks a little odd at this point it is suppose to be.) Deep fry 7 or 8 chicken pieces at a time in a 350 degree oil until chicken pieces are crispy. Drain on paper towels. Repeat until all chicken chunks are fried. In a large frying pan or wok add 1 tablespoon oil. Heat until very hot and saute green onions and peppers, from chicken mixture. Stir sauce mixture to onions Cook until thickens. If it gets too thick, add a little water. Add chicken to sauce in wok, and cook until everything is hot and bubbly. Serve over rice. Cook chicken or pork in butter add garlic and sauté. Drain pineapple juice into pan. Add soy sauce, ginger and cornstarch-just enough to thicken. Let simmer for several minutes, then add pineapple chunks and serve over rice. 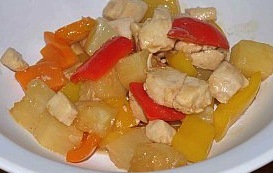 You can also cut up carrots and green peppers and cook with the chicken for this Asian cooking recipe. 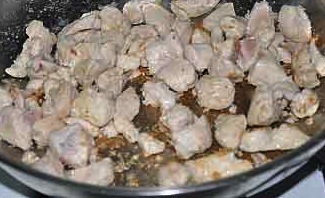 Heat oil and stir fry pork until brown. Add carrots, celery, water, soy sauce, sugar, bouillon, garlic and ginger. Cover and simmer 4-5 minutes until vegetables are tender but crisp. Stir in bean sprouts and green onions. Combine cornstarch and water together and blend until smooth. Stir into hot mixture. Cook until thick. 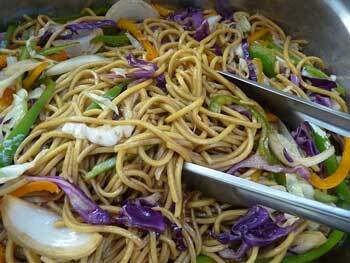 Serve over chow mein noodles or cooked rice. bamboo skewers, soak in water for about 30 minutes-Skewers won't burn as much if soaked before hand. In ziploc bag or medium bowl add coconut milk, curry powder, coriander, soy sauce, garlic, and cornstarch. Blend together. Add strips of chicken breasts. Marinate several hours or overnight. Thread each chicken strip onto a bamboo skewer and grill. 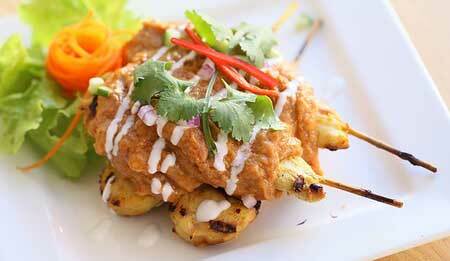 Serve with a peanut sauce. Add all ingredients in a jar, add a lid and shake. Or use a bowl and whisk ingredients together. Mix the ingredients (this will yield almost 2 qt!). Marinade about 1/2 C per pound of beef or chicken. Saute on medium high, or grill until done. Keep refrigerated unused portions. Add 2 tablespoon of honey with 1 tablespoon of the marinade. You can stuff this Asian cooking recipe however you'd like by using different vegetables and different meat. Add a sauce for dipping and kids will love to put these together and eat them up. Cook ground beef or pork and drain well. Add in garlic, green onions, shredded carrots and bean sprouts. Cook several minutes. Add soy sauce to mixture. Pour oil in a wok or skillet about 1 inch. Heat until 375 degrees. Meanwhile, lay a wonton wrapper on a cutting board or flat surface. Place 1 tablespoon meat filling in middle. Have a glass of water on hand to moisten sides of wrapper. Fold bottom edge over filling. Tuck in sides and roll to the end of the wrapper. 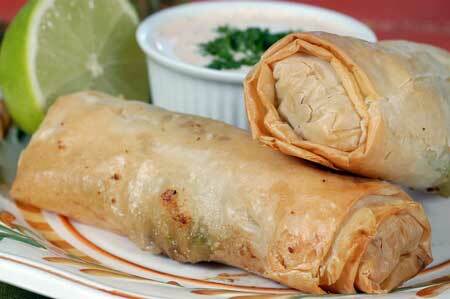 Fry spring rolls for 3-4 minutes. Turn once or twice while cooking. Drain on paper towels and fry remaining spring rolls. **Kids can help put these together but younger kids should stay away from the frying as to not get splattered with hot oil. 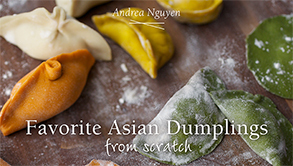 Learn how to make homemade dumplings with this online class. In soup pan, add chicken broth and soy sauce. In a cup, beat 3 eggs. In your cup add a ladle full of soup and beat together. Slowly stir eggs into boiling soup. If desired add in peas and onions. Serve immediately. In skillet, heat oil and add rice. Stir in soy sauce. Cook and stir 1 minute. Add peas and carrots and cook 2 minutes or until heated through. Make a well in by pushing the rice to sides of the pan. Quickly stir in eggs in the hole. Cook until set. 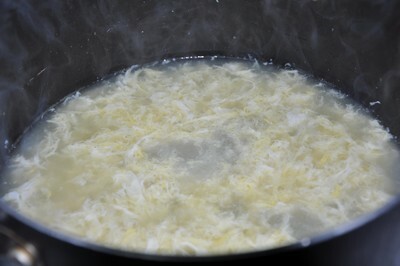 Stir eggs into rice and cook until eggs are completely done. Add more soy sauce, if desired. I like to use carrots, zucchini,mushrooms, peas and peppers. Cut your vegetables in thin strips or dice them. Green peas, of course, are ready to go as is. If you are using meat, prepare marinade and pour in baggie. Try using chicken strips, beef strips or pork strips. If you'd like a shrimp stir fry don't marinade ahead of time. Add meat to your marinade and place in fridge. At dinner time all you need to do is cook the meat and vegetables and prepare rice. For dinner place meat in pan with marinade and cook several minutes. Add vegetables. If you are serving rice with your meal start this the same time as the meat. If you are not using meat for your recipe you will still need this for the stir fry sauce. Prepare ahead and add as much as you'd like when you are cooking the vegetables. Mix above ingredients together. Add to your meat and marinade several hours.